Water is life and sufficient water supply is central to life and civilization. Water is part of the five basic human needs and plays a key role in the other four. Nigeria is abundantly blessed with water resources. However, as at 2015, only 69% of Nigerians have access to improved water supply with 57% of them being of rural population. During the oil boom days of the 1970s and early 1980s, the country invested hugely in water resources development, primarily in the construction of multipurpose dams which were meant to control flood, provision of water for domestic and industrial uses, the environment, hydro-power generation, control of riparian rights releases and for fishing, inland waterways, livestock and irrigated agriculture amongst others. The responsibility of water supply in Nigeria is shared between three tiers of government – federal, state and local. While the federal government is in charge of water resources management and state governments have the primary responsibility for urban water supply through state water agencies; local governments together with communities are responsible for rural water supply. To improve manpower supply for the water resources sector, the National Water Resources Institute, Kaduna was established in 1979, running certificate, remedial and National Diploma and Higher National Diploma and professional post graduate courses in water resources. Preceding this was the establishment of the Federal Ministry of Water Resources (FMoWR) in 1976 with the mandate of developing and implementing programs, policies and projects that will lubricate sustainable access to safe and adequate water to meet the cultural, economic development, environmental and social needs of all Nigerians. The FMoWR has 12 River Basin Development Authorities under the Ministry, responsible for developing and planning irrigation work, water resources, and the collection of hydrological, hydro-geological data. The National Water Supply and Sanitation Policy was approved in 2000, encouraging private-sector participation and provides for institutional and policy reforms at the state level. However, little has happened in both respects. As at 2007, only four of the 36 states and the FCT (Cross River, Kaduna, Lagos and Ogun States) have introduced public-private partnerships in the form of service contracts. While the federal government has a decentralization policy in this regard, little decentralization has happened. In addition, the policy also lays emphasis on rural water and sanitation through community participation. It targeted to increase water coverage from 43% to 80% by 2010 and 100% by 2015. This was not met. In addition, the capacity of local governments to plan and carry out investments, or to operate and maintain systems with respect to rural water management has remained low despite efforts at capacity development. As a result, the FMoWR and the river basin development authorities have been directly carrying off water facilities provision such as boreholes in rural communities. In 2003, a Presidential Water Initiative: Water for People, Water for Life, was launched by then President Olusegun Obasanjo. The initiative had ambitious targets to increase water access (including a 100 percent target in state capitals), 75% access in other urban areas, and 66% access in rural areas. However, little has been done to implement the initiative and targets have not been met. The National Water and Sanitation Policy was also launched in 2004 with emphasis on water management and conservation. Nigeria was also not able to reach the Millennium Development Goal for water and sanitation. In June 2016, President Muhammadu Buhari approved a Water Resources Roadmap (2016 – 2030) with the goal of reaching 100% water supply to Nigerian citizens by 2030. The roadmap encompasses several priorities including: the establishment of a policy and regulatory framework for the sector; development and implementation of a National Water Supply and Sanitation Programme to attain the Sustainable Development Goals 6; identifying alternative sources for funding the delivery of water supply and sanitation through improved collaboration with development partners, states and local government authorities, communities and the private sector [Partnership for Expanded Water, Sanitation & Hygiene (PEWASH)] etc. It’s hoped that this does not go down history as one of the country’s numerous policies in the sector that was not thoroughly implemented. There have been enormous contributions of several external partners with respect to water supply in Nigeria, rural water provision especially, and the Nigerian government welcomes such contributions. These partners include the African Development Bank (ADB), the EU, JICA, UNICEF, USAID, WaterAid, Action Against Hunger and the World Bank. The ADB and the World Bank provide loans to the federal government; the EU, JICA and USAID provide grants to the government; the UNICEF and WaterAid receive donations from the public and grants from governments to implement their projects in cooperation with, but not through the government. Even many domestic NGOs all have programs on the provision of rural water supply to counter the water crisis in many of such communities.This is through direct project implementation and advocacy. This is where Connected Development comes in, using its Follow The Money program to track governmental expenditure on rural water provision in rural communities to facilitate service delivery and provision of clean water. The program also advocates for governmental intervention to address the aquatic needs of most of these communities. At this time, what is key is the provision of financial resources from all concerned parties to finance the Water Supply Section of the PEWASH Phase I (2016 – 2020) of the FMoWR’s which is at the estimate of NGN 108 billion. There are also key challenges with respect to the management of water facilities around the country. 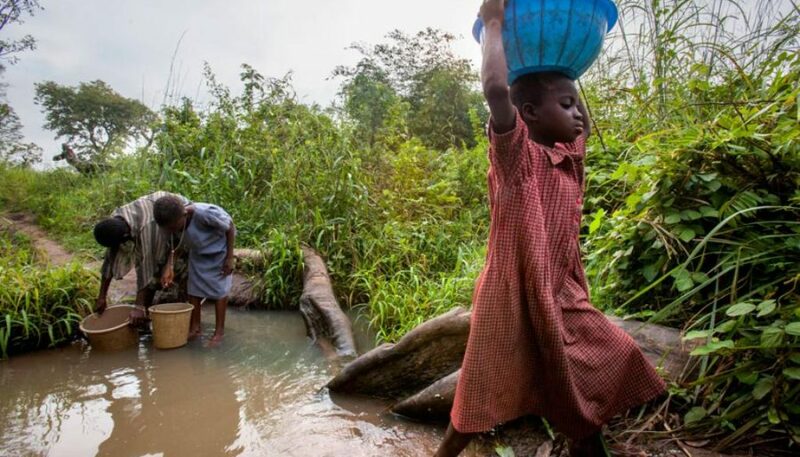 In many rural communities, water boreholes are abandoned and cannot be maintained over the lack of a preceding regime for the funding and maintenance of such water facilities. This has continued for sometime and has to be checked. Thus, it is imperative that the government encourages user participation in the management of water facilities especially at the rural level with realistic water tariff structures. In addition, there is a need for proper coordination between the different levels of government and the public. Ultimately, a recurring challenge is the unavailability of adequate and reliable data upon which planning, analysis, and water management can be based. Data on characteristic patterns in hydrological and meteorological changes over time need to be monitored with utmost sense of duty. This is exceedingly important for efficient planning and service delivery. Chambers Umezulike is a Programme Manager at Connected Development and a Development Expert. He spends most of his time writing and choreographing researches on good and economic governance. He tweets via @Prof_Umezulike.